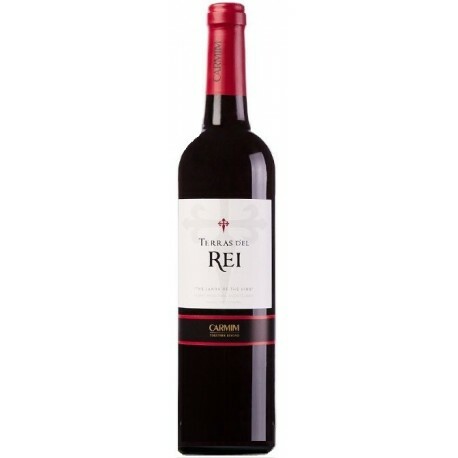 Terras D'el Rei red wine has a crystal-clear appearance, garnet color, aroma of fresh red fruits, soft and medium-bodied in the mouth. After the selection of the grapes, and the manual harvesting are dehaired and crushed. Extractive enzymes are added and cooled to 10 ° C. They rest 8h in order to have a greater extraction of flavors from the film and are subsequently pressed. Fermentation takes place at controlled temperatures (18ºC). Stage in vats. Stabilization followed by filtration before bottling. Crystal-clear appearance, garnet color, aroma of fresh red fruits, soft and medium-bodied in the mouth. Should be drunk at a temperature of 14º-16ºC. Monsaraz Reserva is a very balanced and round red wine from the Alentejo region. Its elegant body features fruity and soft tannins. It shows density and voluptuousness in its structure and rich and intense aromas of ripe red fruits. It finishes with subtle notes of wood barrel and with a very assertive acidity. Quinta do Côtto is an intense and elegant red wine from the Douro region, full of aromas of ripe red fruits, notes of dark chocolate, balsamic notes, and with subtle floral fruity backed by an extraordinary minerality. Julian Reynolds Grande Reserva is a robust, deeply dense red wine that features an intensely aromatic and complex bouquet from the Alentejo Region. Featuring a dark red colour, it's characterized by an intense and markedly juicy core, filled by full of aromas of wild black fruits, austere and imposing tannins, and very poised acidity. Pouca Roupa is an elegant and fruity red wine from the Alentejo region with good minerality a great freshness, slight balsamic touches and a very balanced acidity.